It is 14 days since a team of 6 pilots left Land's End en route to John O'Groats. 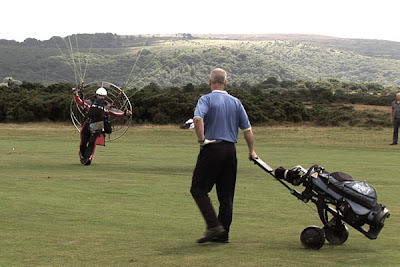 Flying paramotors is normally very weather dependant, similar to paragliding. Good wind conditions are essential for safe flying. But on this epic journey the weather conditions have necessitated countless marginal take-offs, and flying in apalling conditions. As I write, the team are at Dalwhinney in the highlands of Scotland after the two surviving pilots plus our ariel cameraman hit freak conditions had to make emergency landings. The last 24 hours have been tough. Dan the cameraman went into freefall for 1,000ft when he exited a thermal. 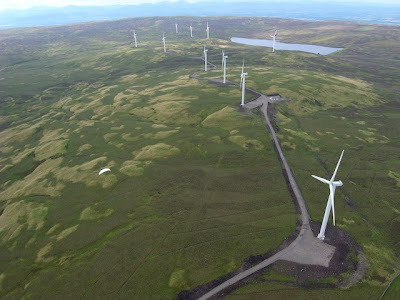 Again that forced emergency landings, with the pilots scattered across the Scottish hill sides. 150 miles lie ahead. Time is running out. The 8 day plan has so far taken 14. One more day of reasonable weather remains. We hope they make it to the end. As well as being the material for an amazing film, the expedition is raising money for the Air Ambulance services and the Forces Children's Trust. I must admit to surprise when I first learned that air ambulances were funded by voluntary donations. Why is such an essential service reliant on charity? But after filming some of the paramedics and pilots, I think that it is probably better not to be NHS funded, else it would be an easy target for cost savings.